Rolex Forums - Rolex Watch Forum > Classifieds > WatchOut!!! 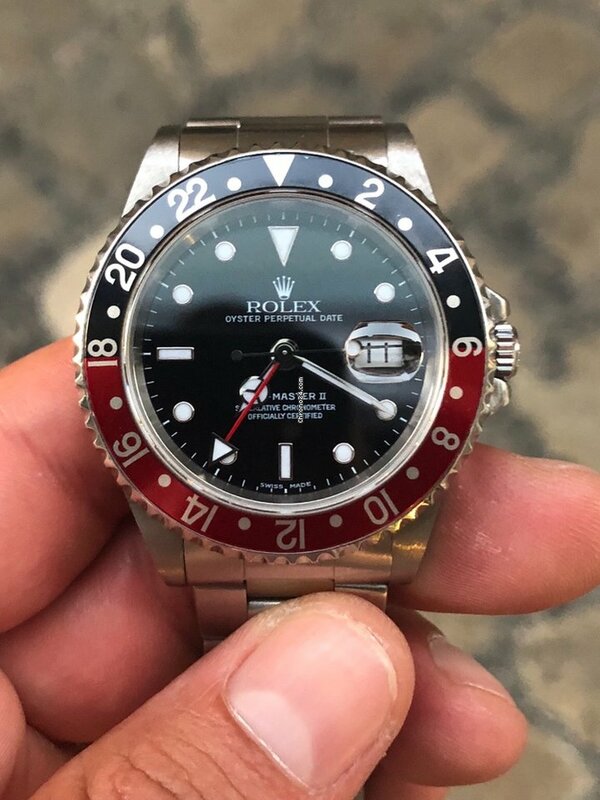 I am looking to buy my first Rolex 16710! 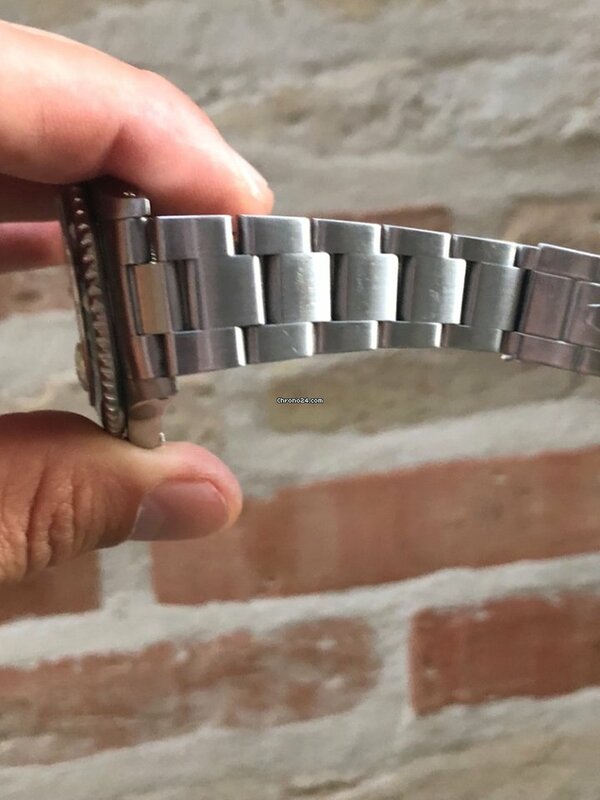 Do you guys see any issues/not genuine parts on the watch below? 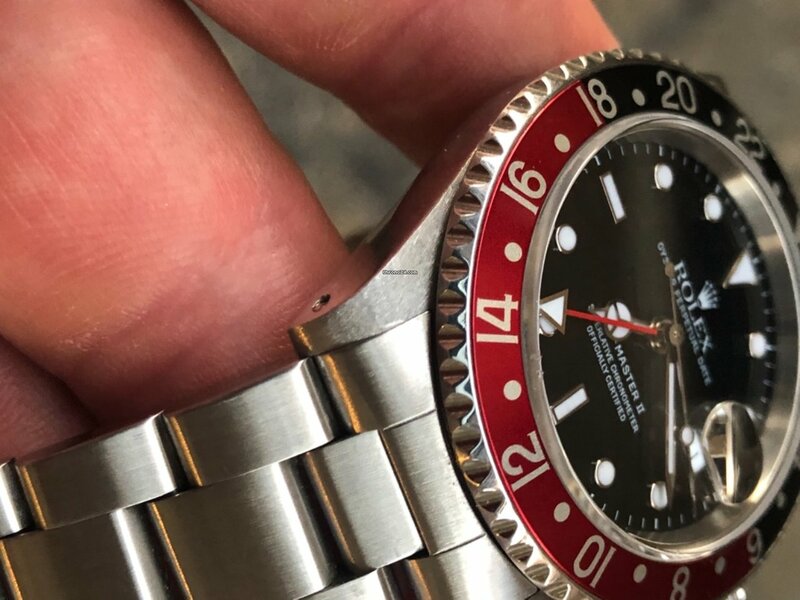 Not a GMT expert but it looks ok to me. Knowing the serial would help us in answering. However, I'm going out on a limb and saying that the dial, while authentic, is a service replacement and not original to the watch. My logic is that by the time that "swiss made" superluminova dials came along, so did solid endlink bracelets which this watch doesn't have. But nonetheless, all genuine. FYI, the crystal has some chips. It doesnt to me. Im not expert. 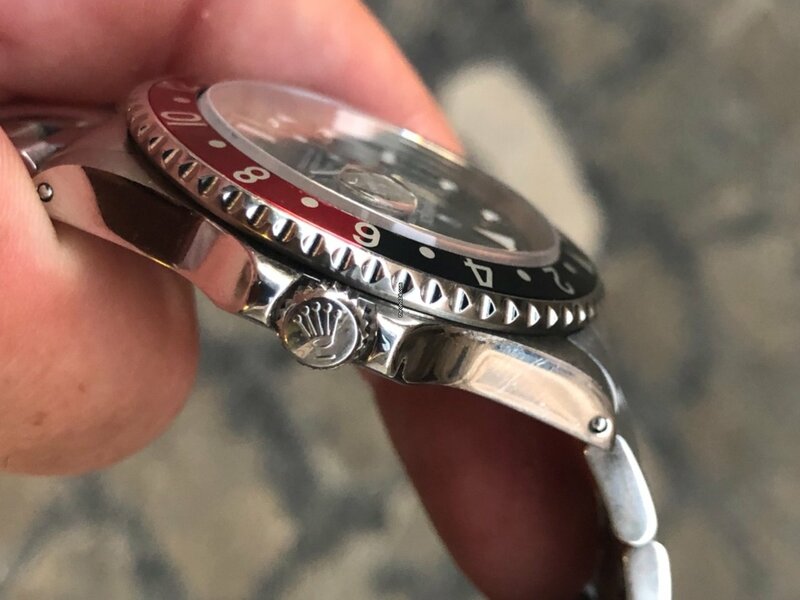 OP, watch looks great, even if the dial is replaced, unless you are collecting it and think you off flipping it to a collector, wear it in good health ! 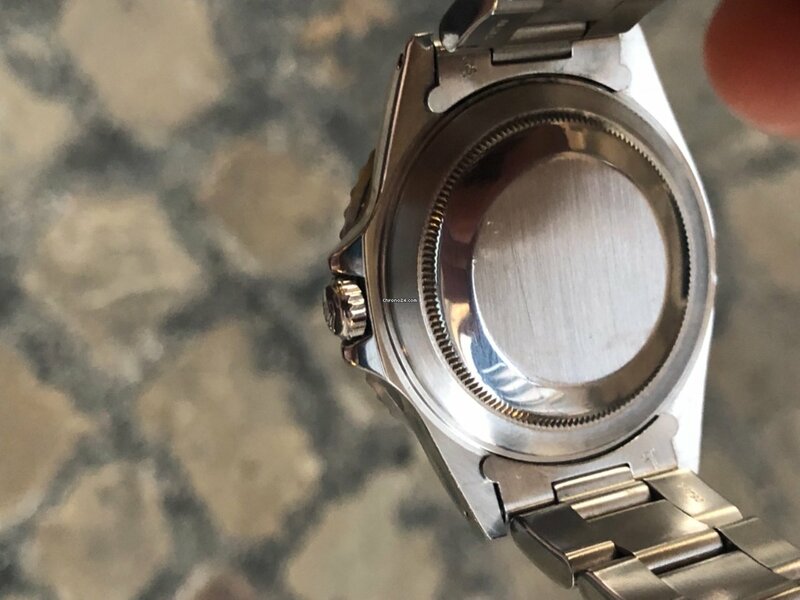 NKflyer may be right and the crystal appear to be a little bit chipped, third picture, or could it be dust ? What price is it being offered at ? is it paper and box ? Thanks for all those answers! Where do you guys see this little chip? between 12 and 14 close to the insert? yes between 12-14, could be dust and the camera angle. the watch looks nice, for that price, I hope you have some paperwork and service history, it is on the higher end for the price. Please remember to "buy your seller" first, meaning to make sure of the sellers reputation and terms before you even think of spending a dime. @NKflyer - Serial number is A68""""" (the seller wants to give only the first digits).